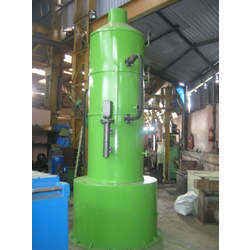 Our product range includes a wide range of vertical boiler. High efficiency optimum heat transfer and minimum radiation losses. Optimum delivery of steam to meet all load conditions. Ample water space to give extra steam when sudden and heavy demand for steam occur. Shop assembled easy access for proper cleaning and maintenance. Insulated with mineral wool covered with sheet metal. Looking for Vertical Boiler ?